The Aleethia Foundation / AWESOME STEAK!!! Clark Construction Group from the "CityCenter DC Project"
Aleethia’s “Friday Night Dinner” on June 22 was hosted by the Clark Construction Group. 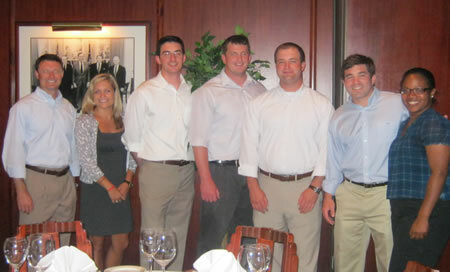 Clark employees welcomed and hosted various tables for the injured service members and their families as they arrived for dinner at Morton’s The Steakhouse. 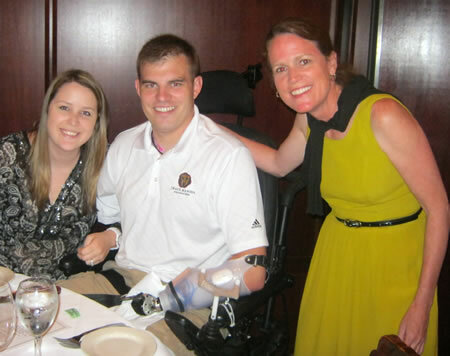 Susan Ross, Executive Vice President/CAO from Clark Construction Group was the gracious table host for a wounded service member and his family who were attending their first Aleethia’s Friday Night Dinner. 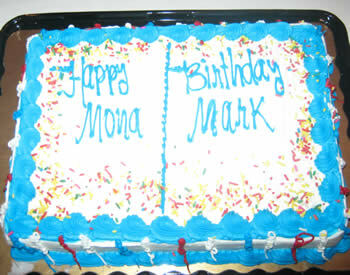 A special "Birthday Cake" for a Mother and her injured son who had birthdays that week! 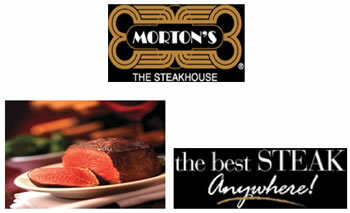 THANK YOU CLARK CONSTRUCTION GROUP FOR A GREAT EVENING AT MORTON'S THE STEAKHOUSE DOWNTOWN WASHINGTON DC!! !